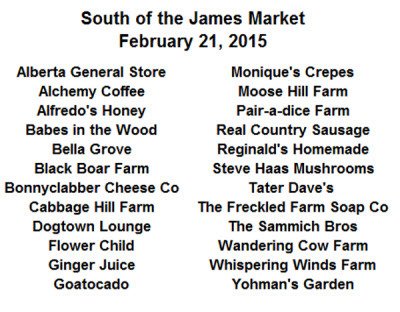 Due to ice in the main parking lot, the South of the James Market vendors will set up near the Stone House in Forest Hill Park this Saturday. The Stone House is at Stonewall Ave & W 41st St (23225). This is not far from where we normally set up and is conveniently near the sledding hill! We are not planning to be there Saturday. Next Next post: Cabin Fever?! Get out this weekend!